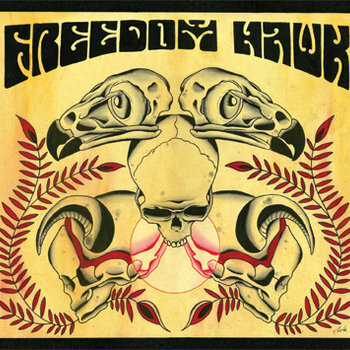 Hailing from the barrier dunes of Virginia, Freedom Hawk blend heavy riffs into rolling grooves and soulful guitar melodies to showcase a sound that is distinctly their own. Widely recognized as one of the leading forces in the retro-rock movement, the band formed in 2005 with T.R. Morton, Mark Cave, Matt Cave, and Lenny Hines playing their first show as a quartet in January of 2006, opening for Year Long Disaster and Throttlerod. Their self-released debut album, Sunlight, arrived in early 2008 and songs like ‘Executioner’, ‘Land of the Lost’, ‘Going Down’ and title track ‘Sunlight’ captured the band in the process of forming a sound and writing style that would be expanded on in later releases. For a style that burns with an exceptionally high and heavy energy their music often leaves many questioning whether they’ve stepped through a time warp, directly into the heyday of ’70s hard rock or the beginning of early-’80s metal. 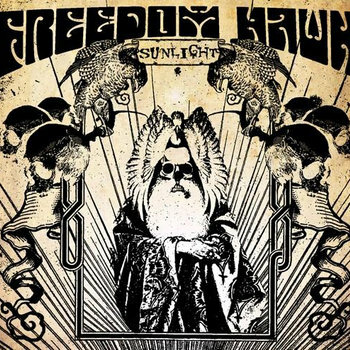 Inspired largely by experiences that could only come from living close to the ocean, wrapped in metal tones with a psychedelic edge, Freedom Hawk’s driving beat, hefty guitars and timeless vocals gave light to the dawn of the new and heavy revival. 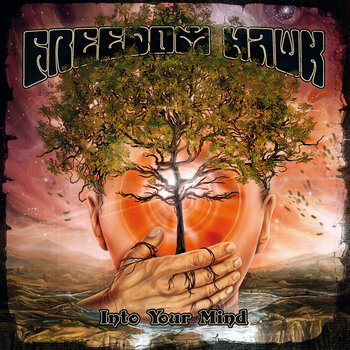 Their second release, Freedom Hawk (2009, MeteorCity), was a big push forward from the reflective and musical journey of their debut. 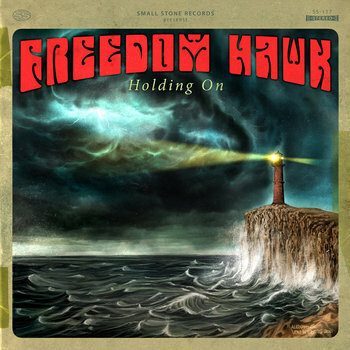 Being a popular choice as the soundtrack for countless online videos, this album is unique in that all seven songs were picked up and used throughout the years and building on the success of those first two full-length albums, 2011 brought a third with Holding On via Small Stone Records. Following the departure of Matt Cave, the band soon afterward released Into Your Mind (Small Stone) in 2015 as a three piece, sticking close to their core sound; slow grooves and rock anthems but with a cleaner, purer edge. The rhythm tracks were recorded organically, with all three members together in one room, and as a result songs like ‘Beyond Our Reach’ and ‘The Line’ show a more laid back bluesy take, while heavy-hitters such as ‘Blood Red Sky’, ‘Radar’ and ‘All Because Of You’ remain true to form. 2017 was an exciting year which brought with it rereleases of both Sunlight and Freedom Hawk on teh Californian label, Ripple Music. Both albums were remastered and issued on vinyl for the first time since their original release. 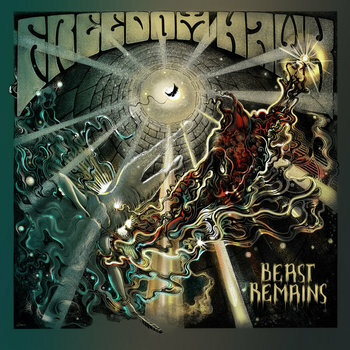 The band’s fifth long-player, Beast Remains (Ripple Music), is due out later this month and will see the band return to a four-piece setup with the addition of new guitarist Brendan O’Neil. The culmination of years perfecting and solidifying their sound, combined with the returned dual-guitar dynamic, the stage has been set for what could be another reinvention of the exploration they started over a decade ago. Over the years, the band has gone on countless tours taking them across the US and Europe, hitting American festivals such as SXSW, Maryland Doom Fest and Doomed & Stoned, along with European festivals like Roadburn and Freak Valley Festival. In 2018, they hit the road once again, hitting both Desertfest London and Desertfest Berlin along with a number of dates across Europe and in the future more tours as they continue to expand their reach across the world. 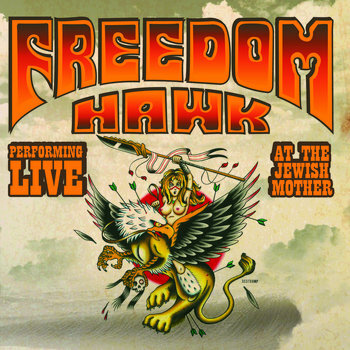 A quote in Performer Magazine from a live show states: “[Freedom Hawk is] East Coast's answer to Fu Manchu, keeping it simple and thick with harmonious metal groove. It wasn't heavy riffs and growls, but power riffs and soulful rock delivery wrapped in metal packaging. 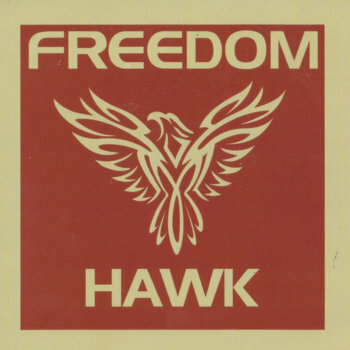 Freedom Hawk's sound is large, like trying to force an elephant to fit in a closet. It is also melodic for such heavy handed playing. Walls of guitar riffs were pushed out heavy, soaring and moving like swells and waves at the same time." Demo recorded at Wizard Studio, which was in the back of a tractor-trailer converted to be a portable studio. Their slogan was "The magic is in the mix". Uh ... yeah. This a Live Bootleg Recording @ The Jewish Mother, November 23, 2011/The night before Thanksgiving (which happens to be our 8yr anniversary) unknown to the band by Matthew Archerson (sp?) who gave the tracks to Chris Kendrick in the Influence band on the bill that night before he disappeared to LA. Club sound guy got a hold of em and mixed it and gave it to us 2 months ago. Matthew wherever you are - thank you!